SCHALI® Products: best choice for distribution. We are ready to start cooperation with you and offer our tailor-made cooperation programmes for distributors. Innovation, profitability and high quality service are main pillars of our distribution business model. You will profit from our innovation products, best wholesale prices, SCHALI® Affiliate Rewards referral system, complete information support and advice on cooperation. We’ll be happy to answer all your questions and to discuss your proposals and ideas – and we will find the best cooperation solution for you. Are you looking for new products for your distribution channels? SCHALI® products are newest innovation products made of a distinct type of QD SCHALI® crystals of a new generation. Our products are successfully applied in healthy humans, complex therapy, outpatient care and hospitals. We offer you to be our partner in SCHALI® products wholesale distribution. You will enjoy exclusive rights to sell our high quality products in your country. You will be able to find a new niche in the market and to develop your own business and sales network. SCHALI®-D line is our newest development on antidiabetic and antioxidant dietary supplements made of encapsulated natural nutraceuticals and dietary fibres intended to provide human body with health beneficial nutrients of valuable quality. SCHALI®-D Dietary supplements may be produced either as of food grade or of pharmaceutical grade (following your / Customer’s / Partner’s request). We’ll supply the product dossier (with regard to the product grade), supporting publications on the claimed effects, and complete advice on certification / authorization procedure in your country. SCHALI® Care products are a new generation of personal hygienic care products made of natural hypoallergenic ingredients for better cellular regeneration. SCHALI Care products are intended for antimicrobial and antitoxic everyday complex care, smoothening and toning skin and mucosae, relieving irritation, itching and inflammation. SCHALI® Care Personal Hygienic Care Products may be produced either as of cosmetic grade or of pharmaceutical grade (following your / Customer’s / Partner’s request) for treatment of a wide range of dermatological, autoimmune, endocrinal, musculoskeletal, rheumatological, gynaecological, urological etc. disorders. We’ll supply the product dossier (with regard to the product grade), supporting publications on the claimed effects, and complete advice on certification / authorization procedure in your country. НМР SCHALI® medical plaster shows a strong synergistic effect in complex and adjuvant therapies, resulting in shorter time of treatment. НМР SCHALI® plaster is intended to maintain normal serotonin balance in humans without pharmaceutical agents, contributing to better therapeutic effect in scope of treatment of multiple conditions, less symptoms and lower risk of complications. HMP SCHALI® Hydrocolloid Mineral Plaster is approved as a medical plaster and is produced as of medical grade. However, following your Customer’s request, we are in position to produce plasters of cosmetic grade. We’ll supply the product dossier (with regard to the product grade) and complete advice on certification / authorization procedure in your country, if necessary. SMC SCHALI® is a silicone necklace intended to restore and maintain normal serotonin balance in humans. SMC SCHALI® may be effectively used in active humans of any age and health condition for better mood and vigour, for treatment and prevention of serotonin deficiency and smooth muscles (capillaries, arteries, veins) dysfunction conditions as well as for lowering harmful impact of everyday electromagnetic emission. SMC SCHALI® may be produced also as of cosmetic grade or of medical grade (following your Customer’s request). We’ll supply the product dossier (with regard to the product grade), supporting publications on the claimed effects, and complete advice on certification / authorization procedure in your country. 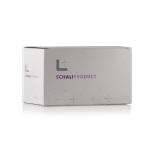 SCHALI® products for manufacturers are exclusive SCHALI® products in primary package in bulk and raw materials (semiproducts) in bulk for production of SCHALI® products. Intermediation with pharmaceutical manufacturers, who are interested in production of own products under SCHALI® technology, development of new pharmaceutical formulations and GMP-conformed production technologies. Intermediation with cosmetic manufacturers, who are interested in development of new cosmetic formulations and production technologies using SCHALI® technology, and who are interested in manufacturing our products (from SCHALI® products in bulk and raw materials in bulk) under their own trademark or SCHALI® trademark. Intermediation with food manufacturers, who are interested to improve properties of traditional nutrients, food formulations and technologies using SCHALI® technology and exclusive SCHALI® ingredients or who are interested in production of own products from SCHALI® in bulk products and raw materials. 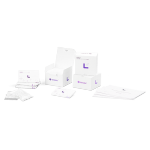 SCHALI® products in bulk are finished SCHALI® products in primary package in bulk intended for final trade packaging and labelling. We’ll be glad to develop new products for you or to incorporate our exclusive ingredients into your basic recipes to the best of our knowledge. Our in bulk products are supplied with necessary certificates and complete advice on authorization of your end product in your country, if necessary. 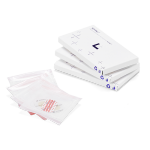 You may select production of any type of HMP SCHALI® medical plasters to be sold under SCHALI® trademark or under your manufacturer’s or customer’s trademark, you may select development and production of plasters of any other shape and medical indication. You may select production of any type of SCHALI® Care products for medical, cosmetic or hygienic use intended for gynaecological, urological, musculoskeletal, proctological, laryngeal treatments etc., you may select development and production of any other products, dosages and indications to meet your Customer’s expectations. Ready for packaging into a final trade package, well-balanced powders of dietary supplements made of Alpha- and Gamma-cyclodextrins with encapsulated nutraceuticals (curcumin, cinnamon, resveratrol, coenzyme Q10 etc. Your customer/ manufacturer is free to select development and production of your customer’s /manufacturer’s own dietary supplement formulations containing different encapsulated nutraceuticals and/or vitamins and minerals, in any dosage and package. Besides, dietary supplements may be produced in the form of tablets, effervescent tablets or bulk powders for further tabletting. Dietary supplements may be produced either of food grade or of pharmaceutical grade. In different formulations for female vaginal and rectal application as well as for male rectal application. Manufacturer may order production of any of the below mentioned products made of 100% bio natural ingredients or order development and production of in bulk product(s) of another formulation(s) (also of your customer’s /manufacturer’s own ingredients, active substances and excipients) in accordance you’re your customer’s /manufacturer’s requirements and desirable fields of application. Ready for packaging into a final trade package, necklace is made of environment-friendly hypoallergenic silicone and is intended to restore and maintain normal serotonin balance in humans. SMC SCHALI® photoactive formulation is capable of influencing active energy points on the neck – similar to acupuncture method - and enables a highly-effective non-medicamentous and non-invasive method of treatment. The product is indicated to promote human energy balance and vital functions in everyday life. Your customer / manufacturer may select size and colour of the silicone necklace or your customer / manufacturer may order a new shape of the product (e.g. bracelet or wristband, accessories, details of clothes etc.). Ready for packaging into a final trade package, SCHALI®-S/0.6 aqueous silicon dioxide (SiO2) (0.6 mg/ml) suspension, pharmaceutical grade, sterilized. As active ingredient, activated nanocrystalline silicon dioxide (EP 2.9.31 min 90% volume <250 nm). Water for injection is in accordance with EP 01/2008:0169. Silicon dioxide complying EP: 01/2008:0434 is processed to obtain activated titanium dioxide of enhanced zeta potential (SOP M21) which enable the formulation that may be used in intramuscular injections administration. The product is delivered with DMF Chemical part Module 3 Quality. Ready for packaging into a final trade package, SCHALI®-T/0.6 aqueous titanium dioxide (TiO2) (0.6 mg/ml) suspension, pharmaceutical grade, sterilized. As active ingredient, activated nanocrystalline titanium dioxide (EP 2.9.31 min 90% volume <250 nm) is used. Water for injection is in accordance with EP 01/2008:0169. Titanium dioxide complying EP: 01/2008:0150 is processed to obtain activated titanium dioxide of enhanced zeta potential (SOP M21) which enable the formulation that may be used in intramuscular injections administration. The product is delivered with DMF Chemical part Module 3 Quality. Raw materials (semiproducts) in bulk for manufacturing pharmaceuticals and pharmaceutical compounds: SCHALI®-S/1.2, SCHALI®-T/3, SCHALI®-T/10. Is intended for manufacturing HMP SCHALI® medical plasters, SCHALI® Care hygienic and cosmetic hydrogels and may be used in own production of manufacturer’s products. Is intended for manufacturing SMC SCHALI® silicone mineral complexes, SCHALI® Care hygienic and cosmetic suppositories and may be used in own production of manufacturer’s products. Is intended for manufacturing SCHALI®-S/0.6 (0.6 mg/ml silicon dioxide suspension) intramuscular injections for certain indications as defined by SCHALI® and and may be adopted for manufacturer’s products. Are intended for manufacturing SCHALI®-T/0.6 (0.6 mg/ml titanium dioxide suspension) intramuscular injections for certain indications as defined by SCHALI® and and may be adopted for manufacturer’s products. Development of marketing strategy for SCHALI® product distribution in both online and offline sales through multiple channels: hospitals, pharmacies, traders, corporations, online sales platforms. Assistance (if necessary) in certification / authorization of SCHALI® products in your country, organization of preclinical and clinical studies, organization of market analysis and marketing review in your country. Management of supply, storage and sales of SCHALI® products in your country, assuring no risk to product quality. Performance of your own marketing strategy in local market, promotion and sales growth of SCHALI® products by implementing at your own expense: trade marketing programmes (merchandising, client support, sales stimulation), ATL marketing (mass media, radio, TV, advertising campaign), BTL marketing (mailings (post, sms, e-mail etc. ), traders conference, sampling (statistics) in healthcare institutions, client support in online and offline sales, presentation (set of SCHALI® products, free samples), bonus programmes for consumers, visual merchandising, presentation of new SCHALI® products. Distributor’s right to use SCHALI® trademarks, signs, logos etc. for best identification of SCHALI® products. Development of your local growth strategy: market expansion, sales growth, product recognition and loyalty. Confidentially treating all information and documents received from SCHALI® Group of companies. Exclusive right of distributing (promotion and sale) SCHALI® products and medical projects in your country (area will be defined in your cooperation contract) and through the channels of your selection (distribution channels will be defined in your cooperation contract). Timely and smooth supply with SCHALI® products in accordance with your orders. Newest and high quality SCHALI® products. Fast reaction to new market trends and your customers’ expectations. Necessary certificates and product dossier for the purpose of authorization in your country. Full support to your local marketing strategy. Selection of carriage and forwarding agents (we are ready to deliver on EXW under Incomers 2010). Flexible and efficient terms of cooperation: distributor will be in position to control local marketing programmes and enjoy rewards on local market growth. SCHALI® website will be at your disposal to assist you in your relations with your partners (full SCHALI® product catalog, SCHALI® webshop, ordering system, quick response by SCHALI® team to all your requests, automated mailings and statistic data generator enable complete and transparent cooperation conditions). Development of new SCHALI® products in accordance with newest tendencies in your local market and full information support. Full information on all SCHALI® products: description, indication, properties in your language. Distributor is welcome to participate in compilation of SCHALI® leaflets and booklets for advertising campaigns in distributor’s country. Full information on clients support and aftersales service: trainings and showrooms for distributors, traders, consumers etc., new design of product package and instructions for use, leaflets, booklets, videos, new techniques of complex therapy, free product samples, complete online support). Recruitment of new consumers: you will be able to generate and to grant a certain referral code providing access to numerous SCHALI® membership programmes to your consumer. You will enjoy getting rewards for each purchase of SCHALI® products done by your consumer: you will enjoy membership in SCHALI® Personal Pharma health care programme, where you may get rewards for each purchase of SCHALI® products by your consumer regardless if your consumer is a member in SCHALI® Personal Pharma health care programme or not; Corporations Cooperation Programme, where you’ll get fixed rewards for each purchase of SCHALI® products by the corporation you recruited; Manufacturers Cooperation Programme, where you’ll get fixed rewards for each new manufacturer contracted. 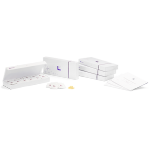 Your rewards on all orders through our referral system will be counted and fixed in your Personal profile. If you represent a distributing company and are interested in distribution of SCHALI® products through SCHALI® Affiliate Rewards System, you are welcome to develop your own distribution network (chain of referrals): hospitals, physicians, traders etc., each of them may involve (using your personal referral code) another partner(s) to recruit finally end user(s) or each of them may recruit end user(s), who purchase(s) SCHALI® products. In this event, each partner involved in distribution will get fixed rewards. If you either represent a healthcare institution or are a healthcare specialist and you recommend SCHALI® products and SCHALI® Personal Pharma health care programme to your patients, you may be our partner in several fields of cooperation. SCHALI® Affiliate Rewards System is one of the options. If you are a customer and/or a buyer, who is skilled in sales, or if you are a customer, who is ready to share your experience on SCHALI® products with your relatives and friends, do it by using SCHALI® Affiliate Rewards System and get your rewards. Clear and transparent terms and conditions of our cooperation, specified in our Contract of Cooperation, empowering you to use SCHALI® website, our referral system - SCHALI® Affiliate Rewards System and other services. Comprehensive and easy in use online platform to operate your fields of cooperation: clear information on our software, automated service counters, statistic data generators, and rewards calculator. Flexible and efficient terms of cooperation: you may set up a rewards rate throughout your chain of referrals taking into account current rates of SCHALI® Affiliate Rewards System, type of your end user (Consumer, Corporation, Manufacturer), number of your partners in your chain of referrals (the less partners you have, the higher rewards you get). Discount rates for partners in wholesale and retail. Transparent rewards calculation and easy consideration. Searching and attracting new consumers (manufacturers) for and promoting in your local market SCHALI® products in bulk and raw materials (semiproducts) in bulk. Pre-contractual work for selling SCHALI® products in bulk and raw materials (semiproducts) in bulk (SCHALI®-T (TiO2) and SCHALI®-S (SiO2) and their combinations with other compounds) to pharmaceutical, cosmetic and food manufacturers. Contracting your consumers as our agent. Management and control of contracts and supply. Reviewing local markets, new trends, new expectations, consumer characteristics, technological advice, advising on certification/authorization of your customer’s / manufacturer’s end product. Delivery to manufacturers and support control. Management of contractual financial obligations, invoices, considerations, claims etc. Management and prevention of contractual disputes, if any. Regular and accurate accounting and reporting to SCHALI® Group on contract performance. Exclusive right of distributing (agency) SCHALI® products in bulk and raw materials (semiproducts) in bulk in your country (area will be defined in your cooperation contract) and through the channels of your selection (distribution channels will be defined in your cooperation contract). Timely and smooth supply with SCHALI® products in bulk and raw materials (semiproducts) in bulk in accordance with your orders. Newest and high quality SCHALI® products in bulk and technologies for implementation in your manufacturer’s production site. Assistance to your partners in finding a proper manufacturer’s site and implementing SCHALI® technology. Assistance to your partners in finding a proper manufacturer’s site and final trade packaging SCHALI® products in bulk or your partner’s end products as well as ordering production from SCHALI® raw materials (semiproducts) in bulk in accordance with your partner’s requirements to the end product. Necessary certificates and product dossier for the purpose of authorization in your partner’s country. Flexible and efficient terms of cooperation: long-term cooperation. SCHALI® website will be at your disposal to assist you in your relations with your partners and customers (full SCHALI® product index, SCHALI webshop, ordering system, quick response by SCHALI® team to all your requests, automated mailings and statistic data generator enable complete and transparent cooperation conditions). Materials for effective conducting of negotiations with potential Customers by the Agent.